In continuing the expansion of its diplomatic footprint, St. Kitts and Nevis established diplomatic relations with the kingdom of Cambodia at ambassadorial level in New York on November 16th. 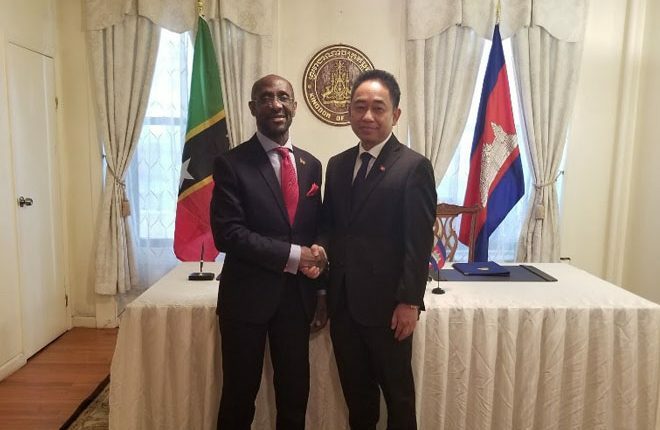 His Excellency Sam Condor and his Excellency Sovann Ke, met briefly after the signing ceremony and discussed similarities in their country’s economy, particularly in tourism. 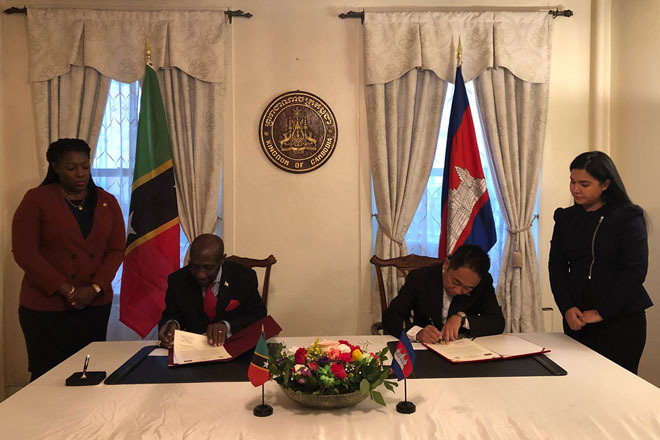 The ambassadors also talked about the possible areas in which both countries can collaborate and were equally happy for the opportunity to strengthen the friendship between St. Kitts and Nevis and Cambodia. 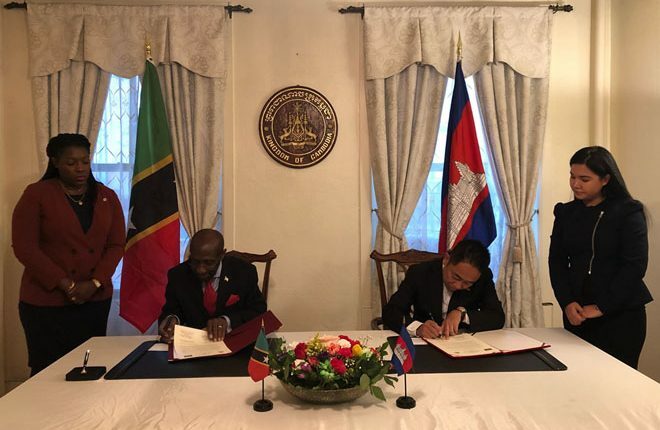 Both ambassadors committed to signing a visa waiver agreement soon and looked forward to the movement of people between the two countries.